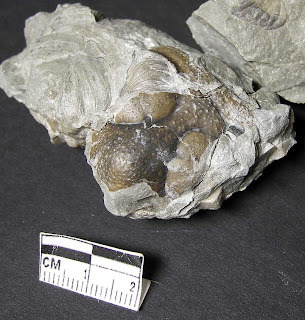 Recently, I read on the Fossil Forum about a find in the Waldron Shale of a Metopolichas breviceps trilobite pygidium. It reminded me of something Kenny found in southern Indiana as well. He sent me the pictures of a cephalon and pygidium of the type of Silurian fossil. 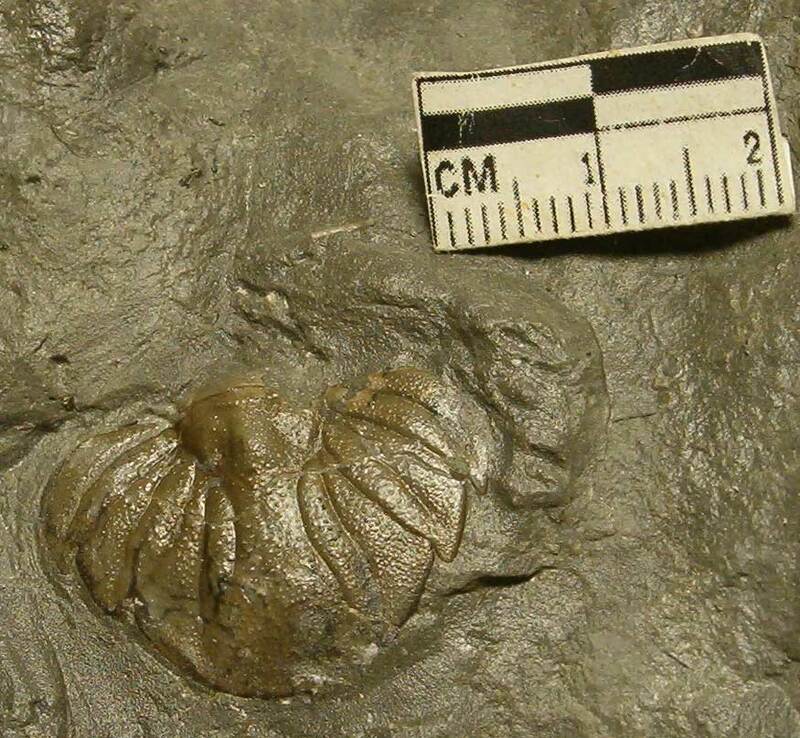 It was found in Clark County, Indiana. 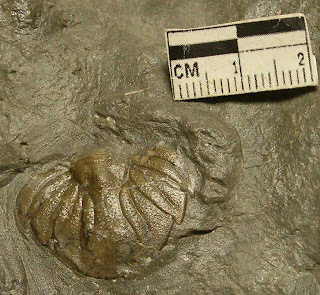 Be advised this trilobite was once known as the Lichas breviceps. Note on the picture below. The trilobite is mixed into what appears to be a Lichenalia concentrica bryozoan.